There are many great melodic metal bands coming from Italy, but one band that I think deserves more attention than they get is the relatively unheralded but consistently impressive Hollow Haze. They started out as a solid progressive heavy metal band in the early 2000’s, putting out four albums in that style, with their third album “End of a Dark Era” serving as my introduction to the band. While that release had its flaws, I was impressed by the musicianship and the overall sound, which were only further improved on their next release Poison in Black. That release introduced symphonic power metal elements into their music, so I wasn’t too surprised when the follow up Countdown to Revenge went further with that sound and took the band in a new direction, while still maintaining traces of their original sound. Now in 2015 they’re ready to unleash their sixth full length release Memories of an Ancient Time, the second part of their current trilogy. As impressed as I was with its predecessor, Memories of an Ancient Time is simply a much better album in every possible way, and one that I hope gets the band more attention. With this release, the symphonic elements have been increased even further, and the rawer, more aggressive sound of their early days has all but vanished, giving way for a much more melodic power metal sound, with faint traces of prog. 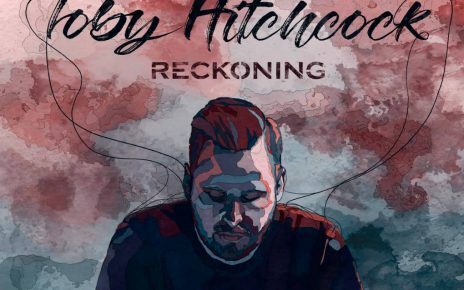 Many songs are dominated by the vocal melodies and orchestras, though there’s still plenty of great guitar leads on other tracks, as well as some excellent drumming throughout. This is a very diverse album, with some songs having a classic Euro power metal feel to them (“Rain of Fire Lights”, “Angeli di Fuoco” and “Silvertown”in particular,) while others are much more grand and driven by the symphonic elements (“Night is Calling”), some are more calm and laid back (“An Ancient Story”,) and a couple tracks even have a slight thrashy edge, most notably “Demon”. Two things that stand out throughout though, would be the outstanding musicianship and the excellent vocal melodies. Which brings us to the biggest strength of this album, as well as the most interesting part. Hollow Haze have gone through several vocalists over the years, their most notable being Fabio Lione, who gave a typically strong performance on Countdown to Revenge. As expected, Fabio was too busy to continue with the band, and so they had to look elsewhere. Surprisingly, they decided not to hire a new singer, but instead brought in ex-Therion vocalist Mats Levén to be a guest lead singer for the album, as well as several other singers to support him, including Rick Altzi (At Vance, Masterplan), Amanda Somerville (Trillium, Kiske/Somerville), Ivan Giannini (Derdian) and Claudia Layline (Serenade). Levén is featured on every full length song and his powerful, animated vocals fit the songs very well, whether it’s a full speed power metal track or a more relaxed ballad. The other guests show up from time to time and they each add extra flavor to the songs. Fans of classic Euro power metal are sure to love the ultra catchy, super fast and melodic album opener “Rain of Fire Lights”, my personal favorite on the album. It opens up with some very impressive lead guitar work, before speeding up and giving way to some fantastic vocals from Mats, as well as some epic orchestral backing, which is present throughout the entire album. The following track “Created to Live” starts out similarly, though it slows down for the chorus, which is another big moment for Mats, even if the lyrics are a little silly. Obviously the faster songs are my favorites, and there’s quite a few of them here, each standing out in their way. “Angeli di Fuoco” starts out with some great neoclassical guitar work, and it features strong supporting vocals, first from Ivan Giannini, then from Claudia Layline, who sings a softly during one of the verses, before providing some excellent operatic vocals later in the song. :”Silvertown” is perhaps the most straight-forward track on the album, but it’s also very catchy and fast paced. Lastly, “Lance of Destiny” and “Demon” both feature Rick Altzi, with the former being speedier and more of a traditional power metal track, while the latter has very aggressive verses, and a rather calm chorus, which makes for a nice contrast. The first slower track on the album is “Ancient Story”, a power ballad enhanced by the drumming as well as the vocals. Partway through Amanda Somerville makes an appearance, and from that point on it turns into an epic duet, and is probably my favorite of the slower tracks. Also great is “Night is Calling”, more of a mid tempo symphonic metal track, where the orchestral elements really take over. “Eyes of the Sphinx” and “Gate to the Eternity” are both solid ballads, though the latter does drag a little bit, repeating its chorus a few too many times, to the point where it becomes a bit boring. It does have an excellent guitar solo near the end, though, and the final time through the chorus is pretty awesome. Overall, Memories of An Ancient Time is an excellent symphonic power metal album which continues along the same path as Countdown to Revenge, except with even stronger melodies and better songwriting all around. 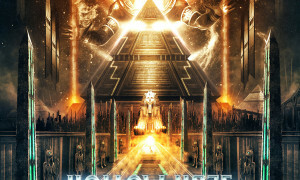 Hollow Haze have really upped their game on this one, and I certainly can’t wait to hear what they’ll come up with for the last part of the trilogy, as well as which singer/s they will feature next. Highly recommended for fans of symphonic power metal and melodic metal in general. 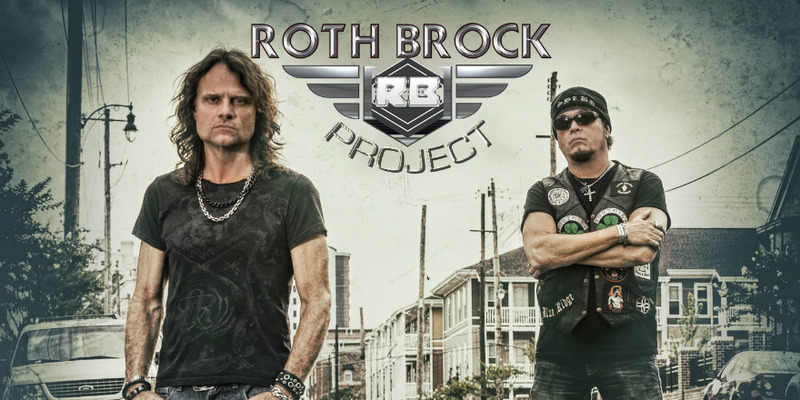 Yet another melodic rock album that deserves your immediate attention, Roth Brock Project’s s/t release is where it’s at.